November, 1815. The Battle of Waterloo has come and gone, leaving the British economy in shreds; Henry Austen, high-flying banker, is about to declare bankruptcy—dragging several of his brothers down with him. The crisis destroys Henry's health, and Jane flies to his London bedside, believing him to be dying. While she's there, the chaplain to His Royal Highness the Prince Regent invites Jane to tour Carlton House, the Prince's fabulous London home. But her visit takes a startling turn when Jane stumbles upon a body—sprawled on the carpet in the Regent's library. 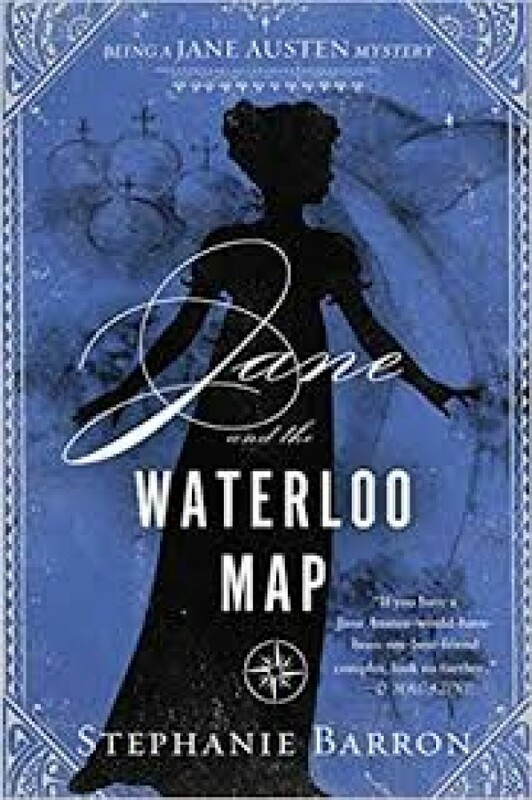 The dying man utters a single failing phrase: "Waterloo map," sending Jane on the hunt for a treasure of incalculable value and a killer of considerable cunning.